Has anyone experienced severe bruising whilst taking epilepsy medication! 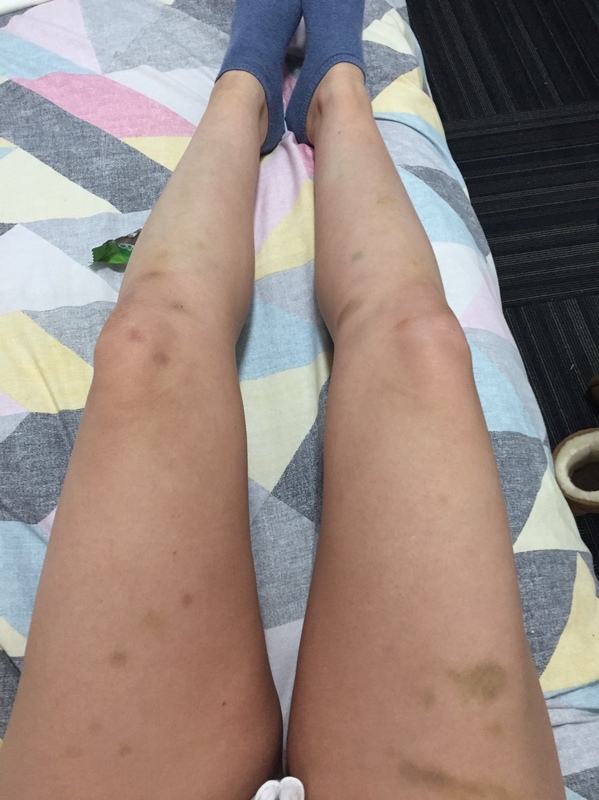 My daughter has suddenly developed bruising only on her legs. We visited the Neurologist this morning who sent her for blood tests! Welcome to the forum! A few yrs. ago I had the same problem as your daughter and I felt fine then a couple of days later my neurologist called me and had me admitted into the hospital because my blood platelet was to low from the drug I was taking at the time, Depakene (valproic acid) this could be what's going on with your daughter. Ask her if she feels more tired than usual and if she is cold, and getting headaches these are all signs of low blood platelet level. If this is the problem your daughter may have to go off the med she's on. I wish you and your daughter the best of luck and May God Bless the both of You! Which med is your daughter on? Some of them (like lamictal) seems to cause bruising, though I haven't had that experience with it. Anemia can also cause easy bruising, probably why the neurologist is having your daughter's blood tested. Ever since I started having seizures, my RBC and WBC run subnormal, so I take a B12 supplement.